Does Exposure to Indoor Allergens Contribute to the Development of Asthma and Allergy? Common indoor allergens include house dust mite, cockroach, animal dander, and certain molds. In genetically susceptible children, exposure to these indoor allergens during the critical postnatal period may lead to sensitization in early childhood. Consistent evidence indicates that children sensitized to common indoor allergens are at several-fold higher risk of asthma and allergy. 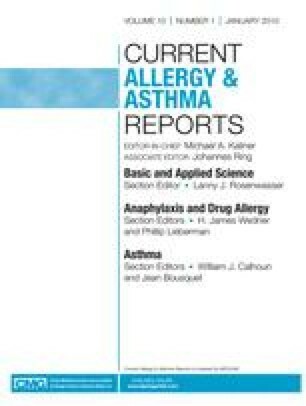 Due to conflicting evidence from prospective studies, some doubt remains regarding a direct and dose–response relationship between exposure and development of asthma. However, in recent years, evidence has accumulated that exposure to indoor allergen causes asthma and allergy, but this effect may depend on dose and type of allergen as well as the underlying genetic susceptibility of the child.